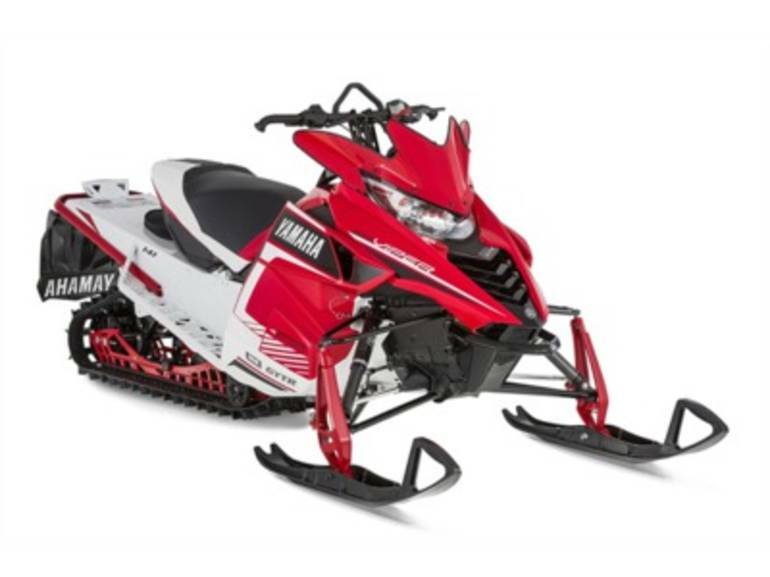 2016 Yamaha SRViper X-TX SE, 2016 Yamaha SRViper X-TX SE Ready for winter no matter where it takes you. Features May Include: NEW Heated Trail Seat Cut through the chill of a cold winter s day with our high-comfort heated seat, offering low and high heat settings easily toggled by a dash-mounted control. FOX FLOAT 3 Front Shocks The latest generation air shock from FOX® features an infinitely adjustable, no tool required, air spring. By changing the air pressure in the main chamber with the included pump, the FLOAT® is the most progressive, adjustable, and lightweight air shock available. A relocated air valve enhances access, and calibration changes further deliver exceptional bump compliance and control. FOX FLOAT 3 Rear Shock The next generation FOX FLOAT shock is now standard equipment and touts the limitless tuning capabilities of air-spring technology joined by improved calibrations, valving components and a new easier to access air valve. The FOX FLOAT is the most progressive, adjustable, and lightweight air shock available. 1.6-inch Cobra Track Blending the best of on-trail bite and off-trail flotation and traction, the 1.6- inch lug Cobra track is a key contributor to the X-TX SE versatile make-up. Dual Shock SR 141 Rear Suspension The unique Dual Shock SR 141 rear suspension is a torsion springless design incorporating an infinitely adjustable FOX® FLOAT® EVOL shock at the rear arm for reduced weight and limitless tuning capabilities. The open and clean look of the suspension allows snow to evacuate quickly and easily, eliminating build up and unwanted weight. In addition, the uncoupled design delivers excellent flotation and conforms to terrain in an effort to deliver optimum traction in a wide variety of conditions. The performance-tuned design sacrifices little on trail as well, thanks to its bump bridging capabilities and impressive acceleration and braking attributes. Genesis 1049cc High Performance Engine The 3-cylinder Genesis engine has been regarded as the industry s best four-stroke engine. Featuring a sophisticated closed-loop fuel injection system and 4-valves per cylinder, the 1049 engine delivers a class-leading horsepower, instant throttle response and a thick torque curve that jettisons you from corner to corner in a blink of an eye. All with great fuel economy and a reputation for bulletproof durability. All Yamaha pictures are kind of Yamaha HD motorcycles picture was taken, including motor fuel gauge, engine, engine mounts, tires, fuel tank, the car handles, lights and so on, 2016 Yamaha SRViper X-TX SE full-screen viewing,2016 Yamaha Motorcycles today Price: $11,900 .